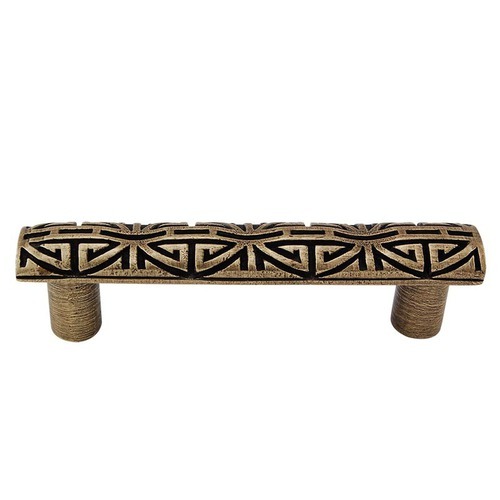 The Asian inspired Camesana line of pulls and knobs brings a strong, stately look to your cabinets and appliances. The three inch cabinet pulls are available in Antique Brass, Antique Copper, Antique Gold, Antique Nickel, Antique Silver, Gunmetal, Oil-Rubbed Bronze, Polished Gold, Polished Nickel, Polished Silver, Satin Nickel and Vintage Pewter finishes. Mounting hardware is included. 100% lead free pewter. Handcrafted in the USA.